The camera with the quality your photos deserve, the EOS Rebel T6 can be ideal for smartphone or digital point-and-shoot camera users looking to step up their imaging game. It’s equipped with an 18.0 Megapixel CMOS image sensor and the DIGIC 4+ Image Processor for highly detailed, vibrant photos and videos even in low light. Whether you’re out on an adventure hike or snapping candids of your friends during a late night out, the EOS Rebel T6 can help you take photos you’ll want to show off. Built-in Wi-Fi® and NFC connectivity make it easy to get your favorite pictures up on select social media sites for your friends, family and the world to see. If you’re new to DSLRs, Scene Intelligent Auto mode can conveniently and automatically adjust the camera’s settings to suit your subject. Easy to use and simple to share with, the EOS Rebel T6 delivers high image quality that’s sure to catch the audience’s eye. With a broad range of light sensitivity ratings from ISO 100–6400 (expandable to H: 12800), the EOS Rebel T6 camera is ready to go in virtually any light, capturing fine detail with ease. Thanks to this expanded ISO range, it can capture a variety of subjects in a variety of situations, including handheld, without needing a flash. 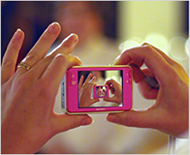 This means detailed and natural-looking pictures and movies can be captured discreetly, with ease. From uploading photos to select social networking sites, emailing family and friends or archiving images to a computer, the EOS Rebel T6 camera offers a number of easy solutions for sharing. It’s equipped with built-in Wi-Fi®* connectivity to help make wireless sharing of photos between compatible devices incredibly easy and convenient. Using Canon’s free Camera Connect app*, the EOS Rebel T6 can connect to a number of compatible smart devices* for image browsing and transfer, and also post images and videos to select social media sites. Wireless capabilities also allow users to use their compatible smart devices* to remotely control the camera, which is useful for self-portraits and group shots or shooting from a distance as long as the camera is in wireless range. A variety of the camera’s expressive capabilities are available to you: use different shooting modes; choose AF frame modes (single-point/face detection); shoot in continuous shooting mode; and utilize the AF button. Just connect to a compatible device using the free Camera Connect app* to start capturing photos using remote shooting. Have you ever wondered what features can apply to different shooting situations? The EOS Rebel T6 camera can help with a Feature Guide that displays a simple description to explain each function. This description is displayed in each shooting mode, during mode dial operations and for Quick Control screen functions. It appears automatically when a function is selected – a lifesaver when trying to determine a suitable mode or function for the next picture. The feature guide works automatically by default, and can be disabled easily through the camera’s menu. Plus, with the Video Snapshot feature, the EOS Rebel T6 will capture short video clips (of 2, 4 or 8 seconds) then combine them automatically into one video file as a snapshot or highlights ‘album’. With no editing needed after shooting, the compiled video can be ideal for sharing online or displaying directly on an HDTV via the camera’s HDMI port. For photographers looking to experiment with advanced settings, the EOS Rebel T6 camera is loaded with features to take you to the next level. Basic+ makes it easy to create the image effects you want, changing ambience or scene type according to simple choices made on the camera’s Quick Control Screen. The newly added Food mode lets you take appetizing photos of your favorite seafood platter or chocolate dessert in a bright, colorful way that can make them look as enticing as the dish itself. Ideal for beginners looking to expand their photographic horizons is Creative Auto mode. It puts basic settings in full automatic operation, but provides shooting guides on the LCD screen that explain how to make changes to exposure, tone, sharpness and more, and how those changes will affect the final image. In essence, with Creative Auto mode, you can experiment and learn more about photography while still taking stunning photographs. Auto White Balance provides ‘white priority,’ adjusting for the warmer tones under tungsten lighting. Have you ever taken a photo and wondered why it came out overly red or yellowish-green when it didn’t look like that in real life? Different light sources, whether it’s the sun or a light bulb, can affect the colors you see in a photo. With Auto White Balance, the EOS Rebel T6 camera automatically adjusts the white balance according to “ambience priority,” which retains warm color tones to help maintain the mood of the shot, or “white priority,” which eliminates them to help ensure white lighting is neutral in color. You can choose between these two settings to make sure your image looks how you want it to, even under different lighting conditions. 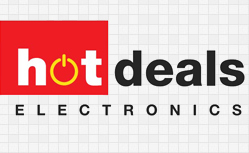 Hot Deals Electronics has been in business in New York for over 10 years. 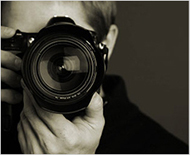 Our staff is made up of accomplished photographers and experienced professionals who are extremely knowledgeable about the products we offer and the ever advancing photography & electronics industry. We are constantly striving to evaluate, obtain and offer you the newest and most exciting products available, with an unparalleled commitment to customer service. 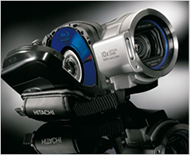 Hot Deals Electronics offers all major brands of photographic & electronics equipment. We offer a wide range of Digital Point & Shoot Cameras, Digital SLR Cameras, Digital Compact Systems (mirrorless), Lenses, Flashes and Accessories. We also stock many other electronics Audio Video Accessories and Appliances. In 2003, we expanded our business to the Internet as Hot Deals Electronics on eBay. Hot Deals Electronics quickly became the leading eBay Seller specializing exclusively in the sale of photographic & electronics equipment. Hot Deals Electronics has grown considerably since then, but we have maintained our focus on the very core of our success… our customers. As our feedback rating shows, we do everything we can to make every customer’s experience a positive one! When browsing our eBay store, keep in mind that our friendly and knowledgeable staff are alwasy ready to help you in finding the right equipment. So browse at ease and enjoy the widest selection of cameras, camcorders, printers, scanners, tripods, lenses, flashes, photo accessories, as well as MP3 players, Blu-ray players, boomboxes, alarm clocks, speakers and so much more. Enjoy youru experience when shopping and remember – at Hot Deals Electronics you’ll always find a HOT DEAL!! Standard & Expedited shipping available to all 50 U.S. States. Shipping price covers all shipping, insurance and handling charges. New York State requires that we collect sales tax on orders shipped within NY State. All shipping options can be chosen at checkout time. Parts of AK and HI may take 2 business days due to UPS restrictions. Shipments must be sent to a physical address only; no PO boxes or APO/FPO. We caannot offer One Day Shipping to Puerto Rico, Guam, Virgin Islands, Palua, Northern Mariana Islands, Federated States of Micronesia, American Samoa or the Marshall Islands. Hot Deals Electronics offers USPS First Class Mail International, USPS Express Mail International, FedEx International Economy, and/or FedEx International Priority based on the weight and size of the package being shipped, as well as the destination. On orders shipped outside teh USA there may be local customs or duties. Please be aware that all countries have different procedures and fees for incoming packages. Import duties, taxes and charges are not included in the item price or shipping charges. These charges are the buyer’s responsibility. We cannot mark any package as a gift, but all international packages are marked ‘eBay Purchase’ on the insurance form. We do not ship to Brazil, Mexico, India, Israel, Indonesia, Malaysia, Singapore, Romania, Czech Republic, Slovakia, Saudi Arabia, the Russian Federation, Turkey, Ukraine, U.A.E., Slovenia, Greenland or Iceland. Pay immediately by eBay Secure Online Checkout. Get to eBay Secure Checkout via ‘Pay Now!’ button (at the top of the page). For your convenience we can process all orders including PayPal payments over the phone. 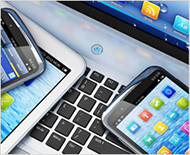 Hot Deals Electronics is proud to offer a 30 day return or exchange policy on most items. We will offer a full refund (excluding shipping charges) or exchange for qualifying items returned within 30 days of the order date. All returns must be pre-authorized through our Customer Service Department, and must be sent back to us in exactly the same condition as you received it. All items must be new and in original boxes. All internal packing materials, instruction manuals, blank warranty cards and accessories must also be included for any replacement, exchange, or refund. The UPC code must still be attached to the box. If it has been removed, then the item is not eligible for return. Please save your receipt as a record of your purchase. All returned goods MUST be accompanied by a copy of your receipt. After receiving authorization from us, please ship your merchandise (adequately packaged) back to Hot Deals Electronics. Please do not write on or place shipping labels or stickers on the manufacturer’s packaging. All items must be shipped freight-prepaid, and insured for the full value of the returned product(s). Sorry, Hot Deals Electronics cannot accept COD or freight-collect shipments. For your protection, we strongly recommend you get a tracking number and insurance for your protection. Non-defective items which qualified for ‘free shipping’ on the original order and are being returned will have the standard shipping charges deducted from the amount of refund or credit. IMPORTANT: The UPC code must still be attached to the box. If it has been removed, the item is not eligible for return. For the protection of our customers we also cannot allow returns on all consumables, including but not limited to recordable media such as digital memory (unless unused or defective in manufacture as determined by the manufacturer), film, videotapes, or blank CD/DVDs, as well as batteries, paper, chemicals, ink, bulbs, etc. Please be aware that we cannot be responsible for personal data (contained on memory cards or recorded on built-in camera memory) or items left in returned merchandise. If any of the above conditions are not met, Hot Deals Electronics reserves the right to refuse the return or charge a restock fee of not less than 15%, at our sole discretion. Please inspect your purchase carefully. In the event of equipment received which was damaged in delivery, all shipping boxes and packing material must be retained for inspection by the shipping carrier. After receiving a damaged shipment, please contact our Customer Service Department immediately for instructions. Refunds on returned items which were paid by certified check will only be made by company check after a 10 business day waiting period. Copyright © 2017 Hot Deals Electronics. All rights reserved.